Thomas “Tom” Pope Gilday was born on 13 April 1910 in Montreal. 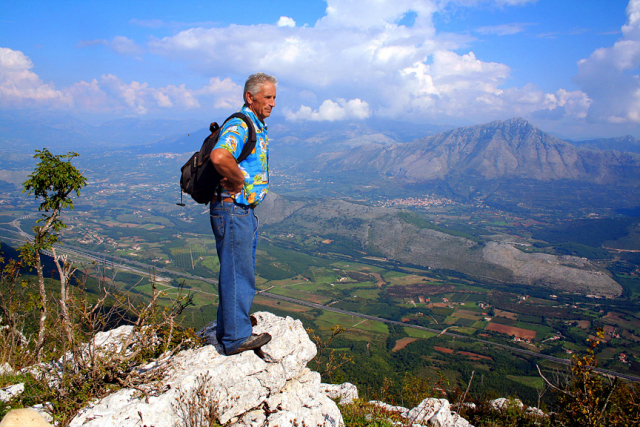 He was an avid outdoorsman and career militia officer. The Canadian Grenadier Guards commissioned Gilday in 1932 and he was a pre-war skiing and kayaking star. 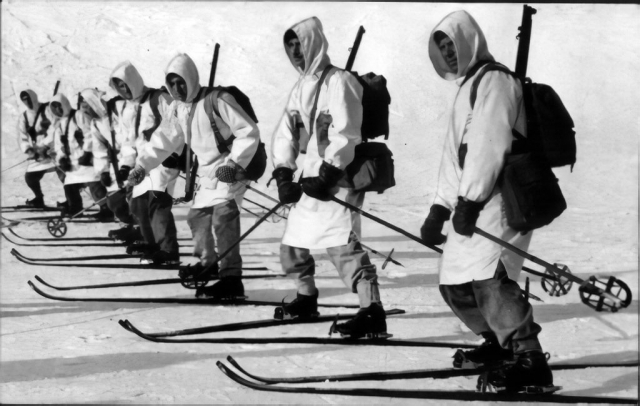 Early in the Second World War Lieutenant Gilday ran a skiing instructor’s course, teaching future instructors to train ski troopers to operate and survive in colder climates. 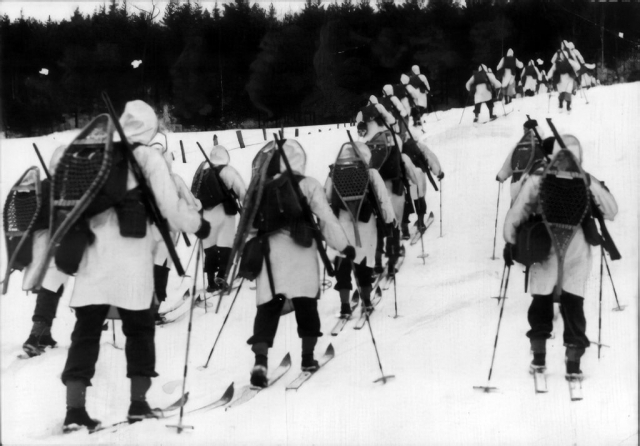 He rose to the rank of captain in the Canadian Army’s Winter Training School. 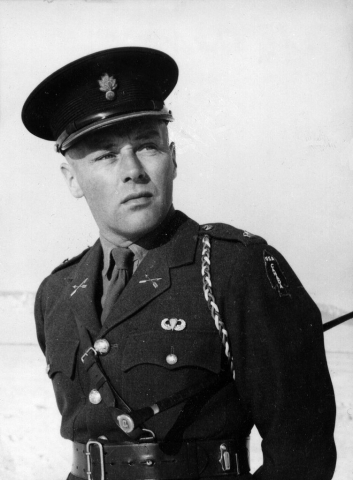 Captain Gilday was selected to join the Canadian contingent for the First Special Service Force (FSSF), an American-Canadian commando unit trained specifically in mountain and winter warfare. 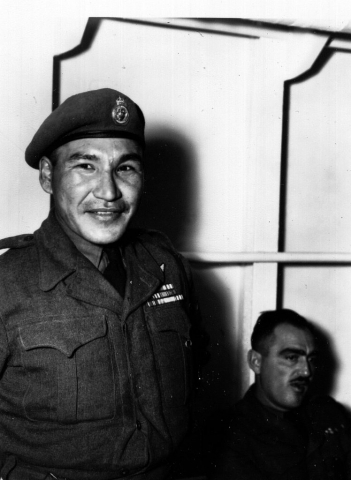 He used his expertise and connections in the army to help recruit the rest of the Canadian contingent. After training in Montana and a short deployment to Alaska to counter a Japanese occupation the Aleutian Islands, the Force proceeded to Italy. 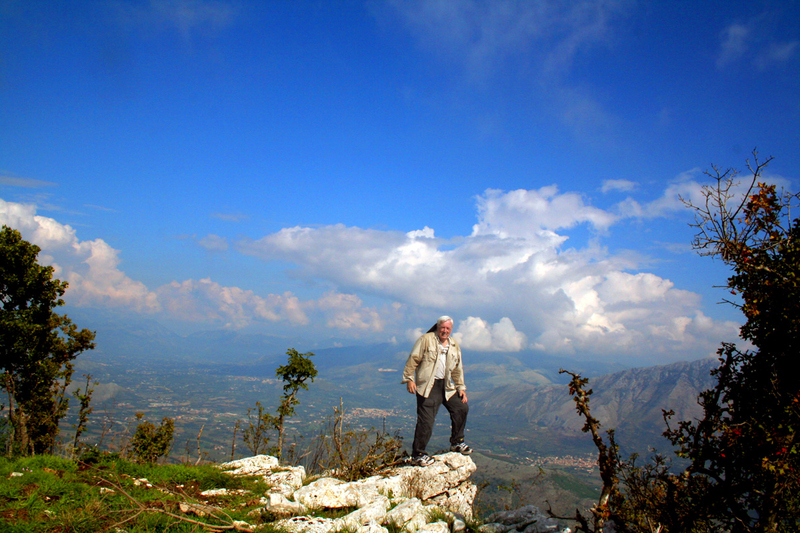 Lieutenant-Colonel Thomas Gilday now commanded 1st Battalion, 3rd Regiment, which he led in the December 1943 and January 1944 assaults on Monte la Difensa and Monte Majo, parts of the German Winter Line near Cassino. Gilday received the Distinguished Service Order for his planning and leadership of the Monte Majo assault. 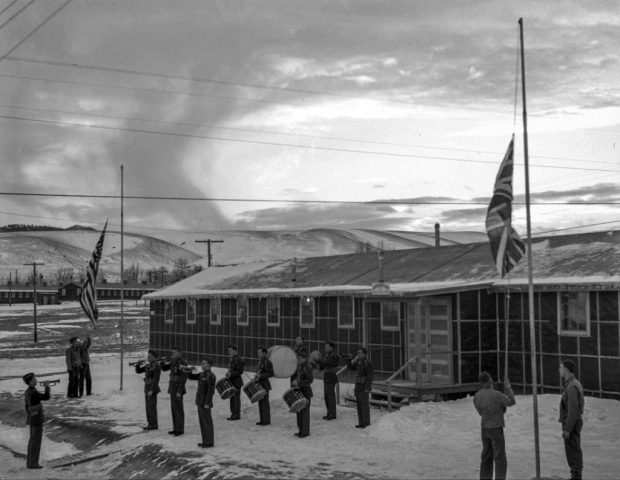 Shortly after these actions, Gilday recommended that the Canadian contingent be withdrawn from the FSSF since it had no reinforcement system. 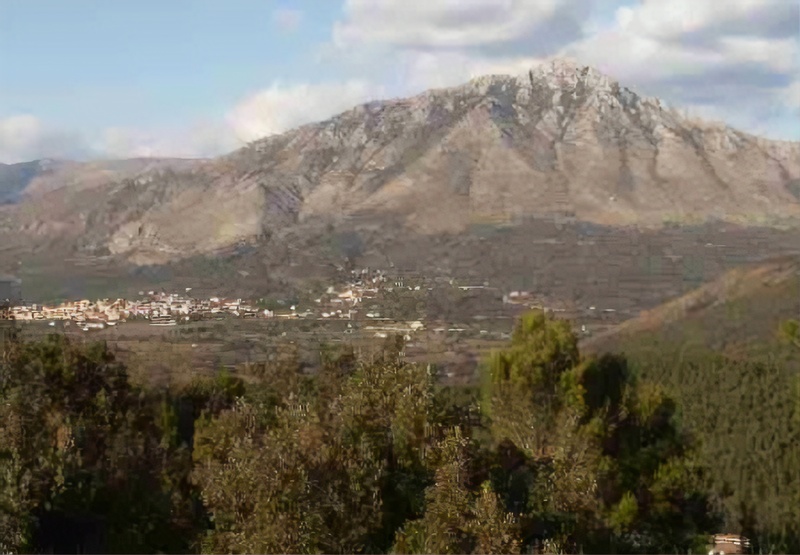 This had to wait, however, as the Force was soon tasked to reinforce the beleaguered Anzio beachhead in February 1944. 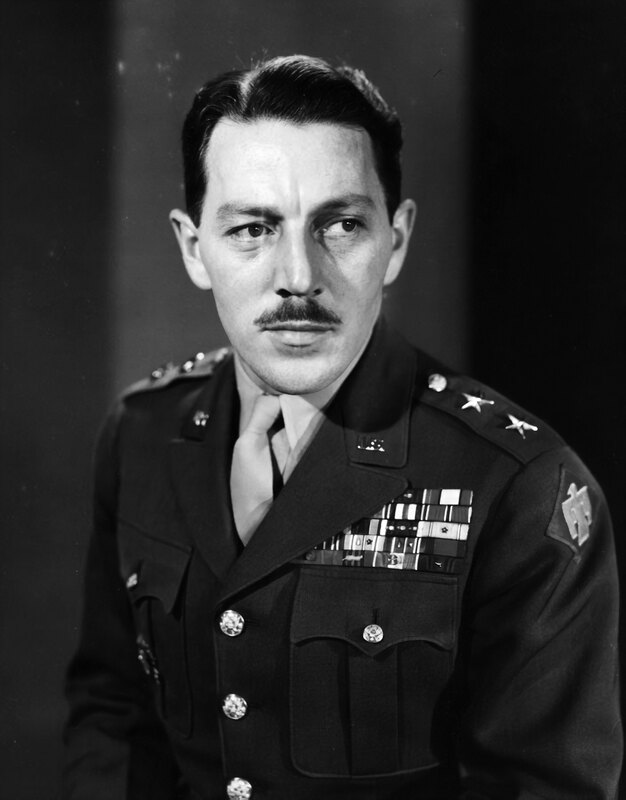 After the fall of Rome in June Gilday, frustrated by US Army methods, requested a transfer back to the Canadian Army rather than accept command of the Force’s 3rd Regiment. He later served as an officer on the staffs of Lieutenant-General Guy Simonds (II Canadian Corps) and General Harry Crerar (First Canadian Army). 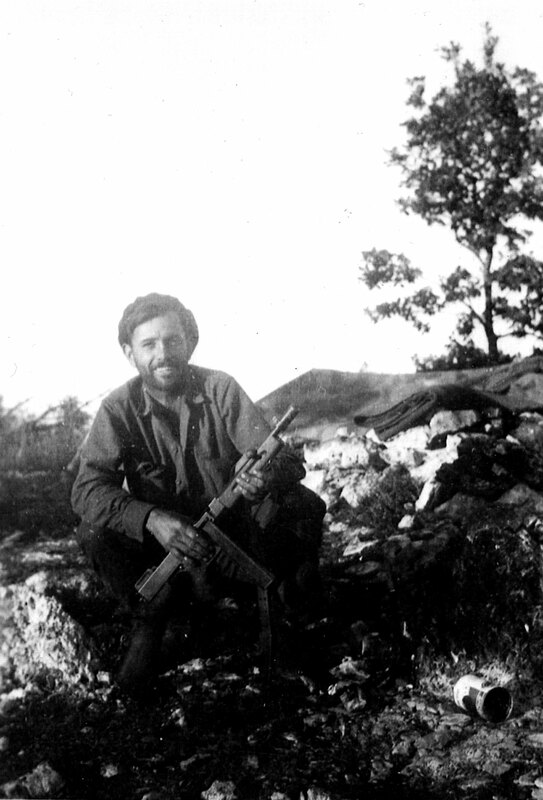 After the war, Tom Gilday remained in the militia, commanding the 58th Light Anti-Aircraft Regiment in Sudbury, Ontario. 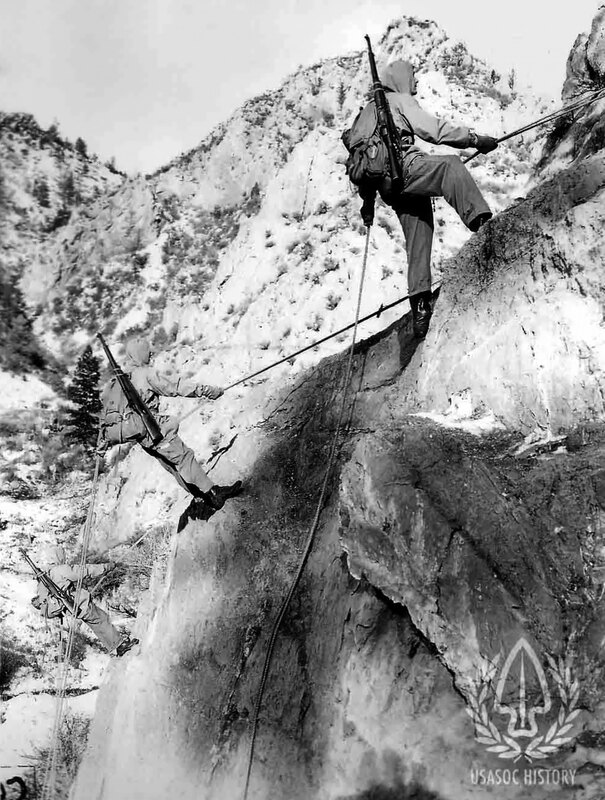 He also remained an active skier, paddler, mountain climber, swimmer, and sportsman. Thomas Pope Gilday passed away on 13 June 2001, aged 91. He was buried at Mount Pleasant Cemetery in Toronto. 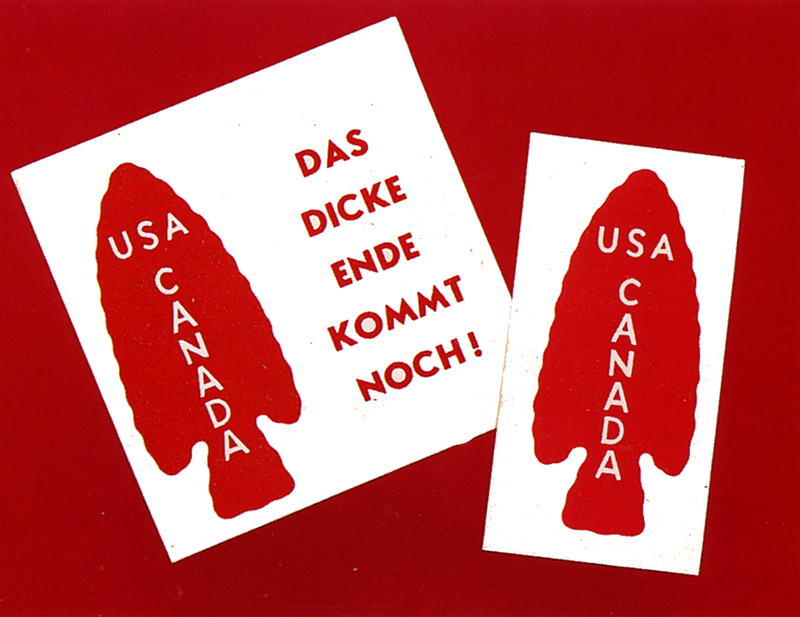 In late 1942 Canada had been at war for three years, but the Canadian Army had yet to see sustained combat against Nazi Germany. 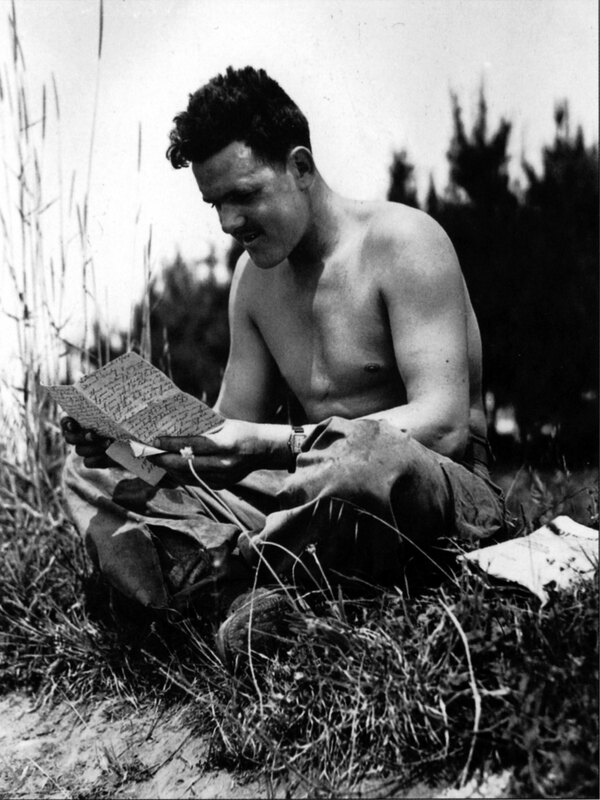 Although the intent was to use Canadian troops in Great Britain to lead the return to France, political pressure in Canada and the desire to get the army combat experience led the 1st Canadian Infantry Division to deploy to the Mediterranean. After the end of the war in North Africa, the Allies invaded Sicily in July 1943 and then mainland Italy in September, knocking Italian dictator Benito Mussolini out of power and pressuring the Italian government to surrender. Nazi Germany rescued Mussolini and established a puppet regime in Northern Italy while German troops formed a defence south of Rome. Here, where Italy narrows, they made use of the mountainous terrain and wet and freezing winter weather to slow the Allied advance. 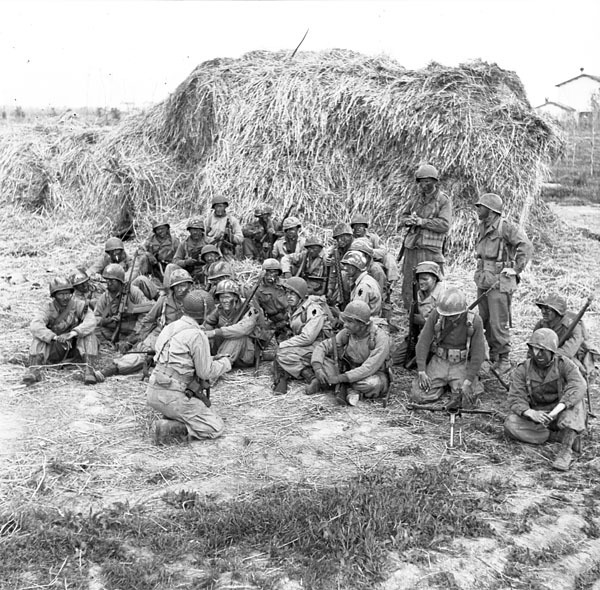 The 1st Canadian Infantry Division fought through Sicily and southern Italy. In December 1943 the Canadians waged a muddy and costly battle to capture the small port of Ortona on Italy’s east coast. 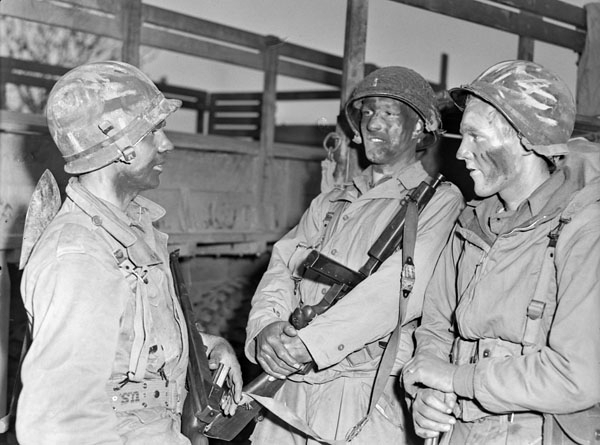 They were joined by the 5th Canadian Armoured Division and I Canadian Corps in early 1944. Lieutenant-Colonel Tom Gilday and First Special Service Force (FSSF) arrived in Italy on 17 November 1943. 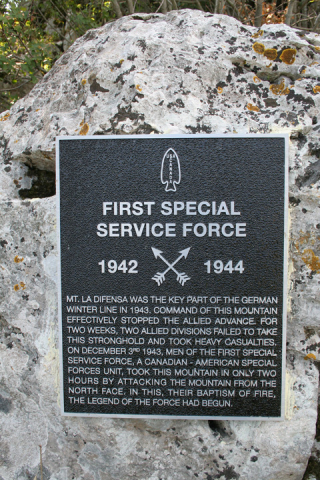 The Force quickly earned a reputation at Monte la Difensa and Monte Majo, parts of the stubborn German Winter Line. Their successes were costly. 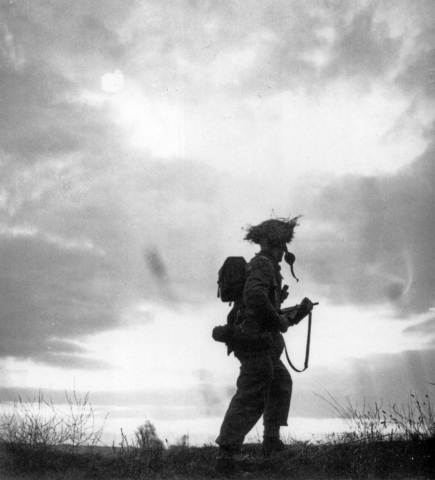 The December and January battles cost the Force approximately half of its combat troops. The Canadian Army briefly considered withdrawing the Canadian contingent, but other events in Italy closed the window on this opportunity. To defeat the Winter Line the Allies landed a combined American-British force behind it at Anzio. 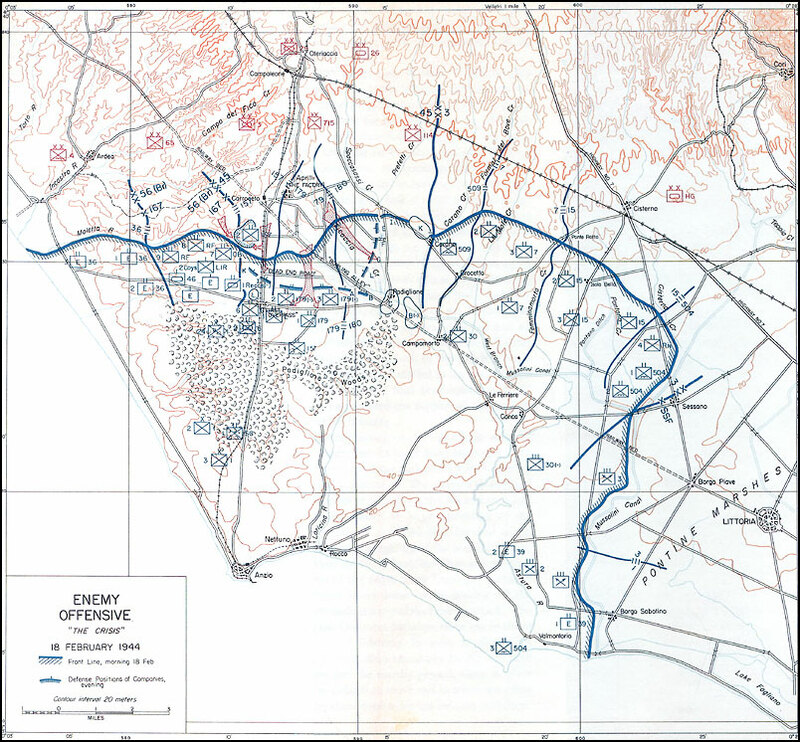 The idea was to capture Rome and its road network, forcing the German defenders at the Winter Line to withdraw or be cut off. 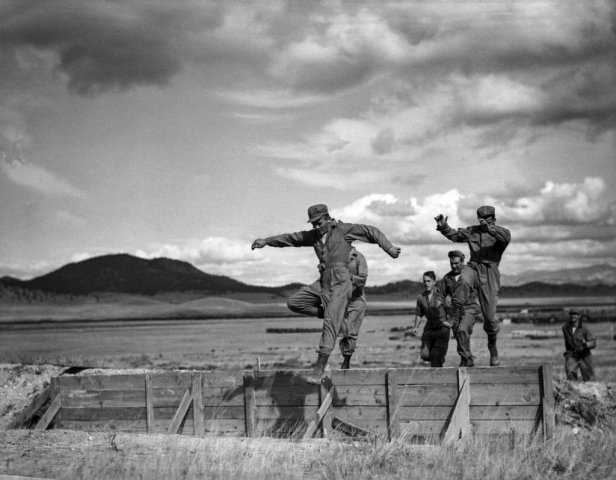 The initial landings went well but a cautious approach allowed the Germans to send in fresh troops to isolate the beachhead. The emergency prompted the Allies to send the FSSF in as reinforcements. Positioned along the Mussolini Canal, the Force earned their reputation as “the Black Devils” due to the black, baggy fatigues they wore during night patrols. Yet the casualties of the beachhead and the subsequent advance to Rome showed that the force, lightly equipped, was unsuited to sustained frontline combat. 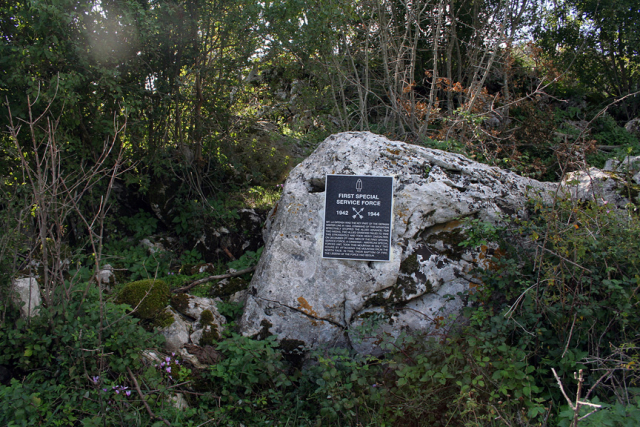 Volunteers from Canadian Army units in Italy brought the Canadian contingent back to strength but the casualties of the drive on Rome negated these effects. 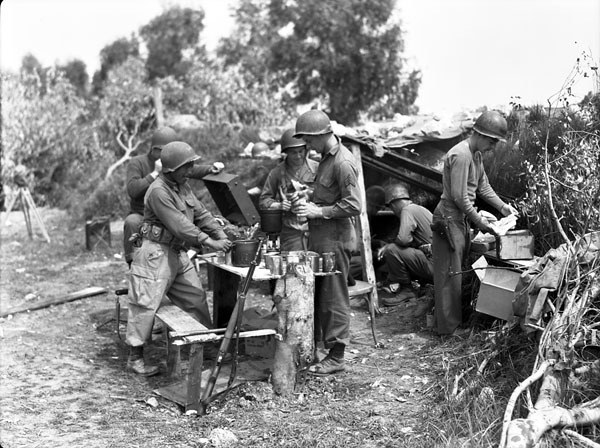 As the breakout from Anzio proceeded the two divisions of I Canadian Corps fought towards and through German defences in the Liri Valley. 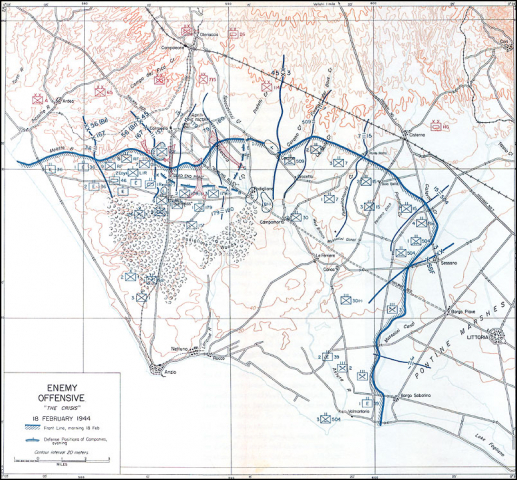 The Canadians breached the Adolf Hitler Line late on 23 May 1944. The combined Allied effort forced open the road to Rome. Gilday’s FSSF entered Rome on 4 June. They fought German rearguards and captured six bridges intact. 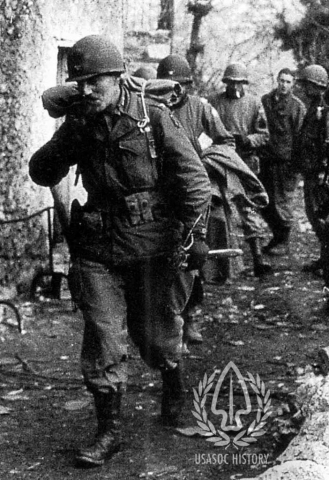 Declared secure the next day, Rome’s capture was quickly overshadowed by the landings in Normandy on 6 June 1944. 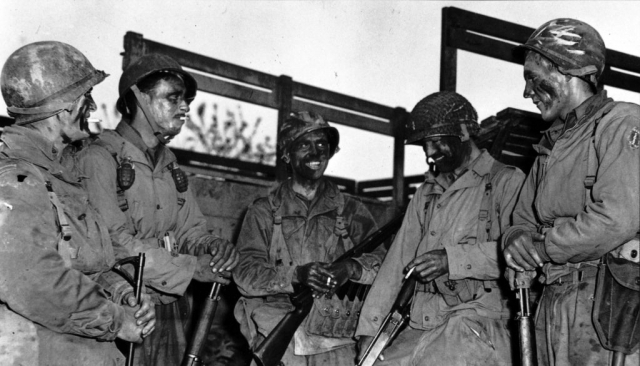 The soldiers in Italy became known as the D-Day Dodgers. 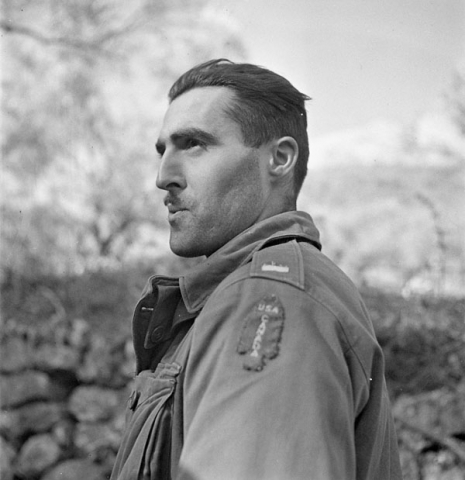 As senior Canadian officer in the Force, Tom Gilday wrote a number of recommendations for men deserving medals for bravery. Tommy Prince’s Military Medal citation is one of them. View the PDF here. 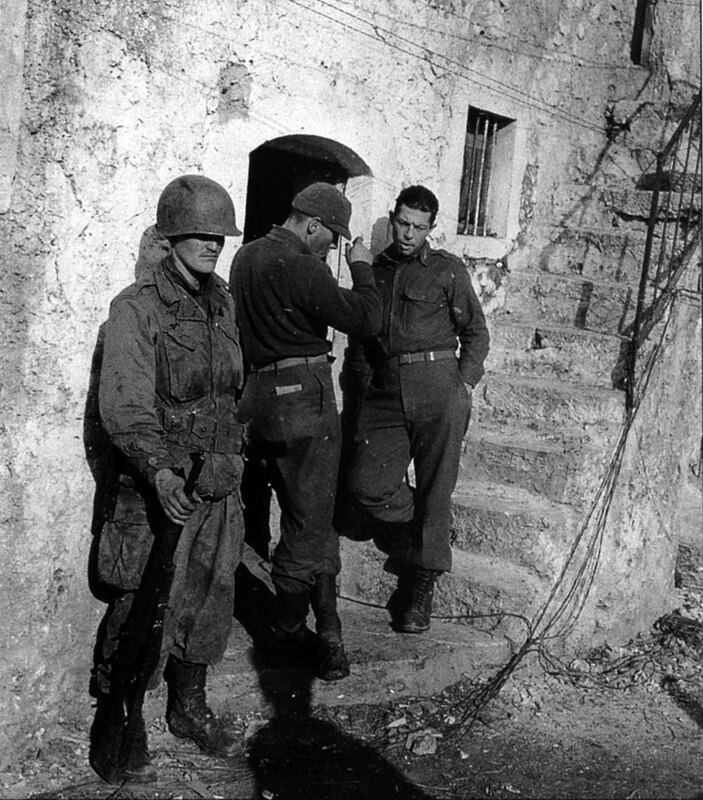 The 8th Army joins the 5th Army at Liri River Valley to attack the Hitler line; moving forward with tanks, equipment and on foot; wreckage caused by German artillery; prisoners from the Nazi Elite Corps, the 1st German Parachute Division and the 19th Panzer Grenadiers; soldiers walk through the ruins of Ceprano; move out on the roads. Then crowds of Romans cheer the Allies as they march into town; crowds at the Forum and in a square. A musical tribute & slideshow to Canada’s not forgotten veterans who fought in Sicily & Italy.